In 1949, Clint Warren started travelling around the country giving lectures on applied hydraulics. 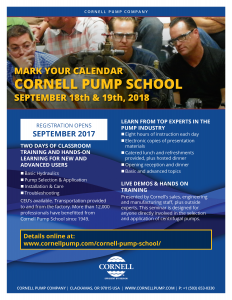 These lectures evolved into the Cornell Pump School: two days of seminars covering topics of interest to people in the pump industry. Participants rate Cornell’s Pump School highly for content, instructor knowledge, and relevance to their job. Over 12,000 participants trained so far! Regular topics at pump school include basic hydraulics, pump selection & application, installation & care, and troubleshooting. Additional topics are selected to present based on attendee feedback and suggestions from our experts. In the past these topics have included metallurgy, materials of construction, motors, slurry applications, and agriculture applications. 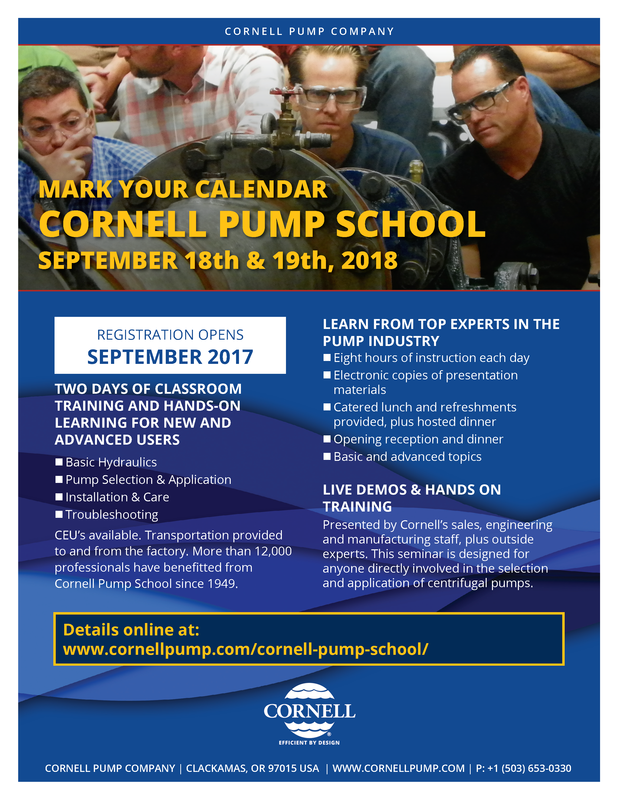 Pump School 2019 will be held September 17-18, 2019. While Pump School will be busy, you’ll still have time to explore a bit of the Rose City.